Budu Baby combines contemporary style with timeless designs and functional elements. The range includes a bamboo and leather Baby Carrier in two colours: grey or cream bamboo fabric with tan leather straps; and a leather Nappy Bag in tan or black that comes with a leather pram straps, key holder, insulated bottle holder and change mat. Launching at One Fine Baby is the new Budu Crossbody Bag, essentially a 3 in 1 product merging a purse, clutch and bag with abundant storage and clever features. I just love to hang out with my kids, no matter what we are doing. I love playing board games with them, playing sport in the backyard, being the tickle monster and chasing them around, dancing and singing with them or snuggling in together and watching a good movie. We also love our family adventures and going to the Melbourne Museum is definitely a favourite. My mum. She is such an incredible woman. She has risen through adversity and her strength, courage and empathetic nature is inspiring. If only I can be half the mother she is my kids will be very lucky. Sultana Bran, Porridge or yoghurt with fruit. Unfortunately I am not very good at baking. I try my best at Chocolate Cake and my family is always very appreciative. Buddha at Bedtime – it has the most beautiful stories with important messages, I think it teaches the kids so much. I have just started reading The Magic Faraway Tree to Oscar and we are both loving it! I alway try and avoid a tantrum first by distracting the kids however if this doesn’t work I will act depending on the situation. Usually I try and remove the child from the situation so they can calm down before talking to them about it. 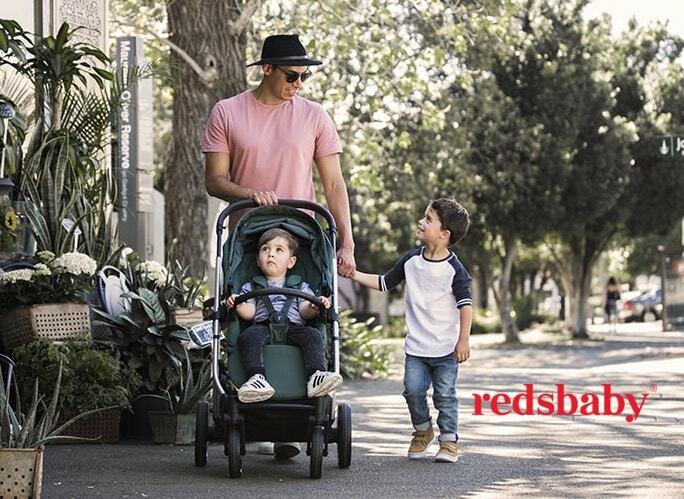 Find out more on the Budu website, or come and visit them, and all our other fabulous vendors, in person this Saturday and Sunday at the One Fine Baby fair at Australia Technology Park, Sydney between 10am – 4pm.